Audrey and I pick Jeremiah up from school. I ask him "what did you get on your test?" We get home. Toddler ready for nap. Mom ready for nap...but really with so much to do, like finish laundry, and make dinner ...and put toddler down for a nap. I empty the dishwasher as Jeremiah comes to me to show me his progress note from the week before (bless his teacher, she sends an update every Monday on how the previous week went at school). I read... "it's the second week Jeremiah has failed to turn in all homework assignments"
Dios Mio. No lo puedo creer. What happened? Jeremiah is a good student. I just talked to him last Monday about this. And asked him daily if his homework was done. And took is iTouch away. And canceled his playdate with his friend last week. I am like super crazy upset now. And all kinds of punishments. And all kinds of rules. And all kinds of limits are being set. I iChat with Kip who is still at work and tell him about how he did. And how upset I am. And how even Audrey is scared of me at the moment (she usually runs the household). So calm, he puts lot's into perspective. I think about my reactions. How different my reaction is from a B+ to missing homework for two weeks. A cool! ... to minutes and minutes and minutes and what probably feels like years to Jeremiah of me lecturing and giving punishments. I think about the reason that he needs me. And this is one. Did I think I would never in our parent-child relationship have to face missing homework? Is this the best way to handle this? Punishment after punishment? I later apologize. We do the homework together, for now. And double check every piece. And tell him how proud he makes me. And how much I admire him and how smart he is. And how I understand how hard it is sometimes for all of us to go to school or work or take care of our responsibilities. Yet, I reinforce why we have to, and how proud of ourselves we should be. I picked him up this Monday and his teacher had nothing but great comments about him and wrote excellent! under homework and an A+ on his test. He picked out something he wanted us to do together to celebrate... sushi!... he says. I decided to share this struggle between us (although now that Jeremiah is older I share a lot less about him on this blog) to share how powerful yet how difficult at times positive parent involvement can be. It seems the times when our children need us the most are the most difficult to face as parents. 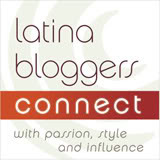 This post was inspired by Latism, their support for Latinos and their support of the new "Es el momento" campaign. An initiative aimed at improving academic achievement among K-12 Latino students. Our Latino community was in need of something big like this and I am so happy to be able to share this with you. Visit their site, you can find tons of information and support on how to be a role model and the importance of active involvement in your children's future. Great post! You are right that we forget sometimes our kids need "us". My immediate reaction would have been punishment too. So glad you posted this because as busy mothers it is something we need to try and remember. Parenting can be frustrating at times. Thanks for your sharing your story with us.